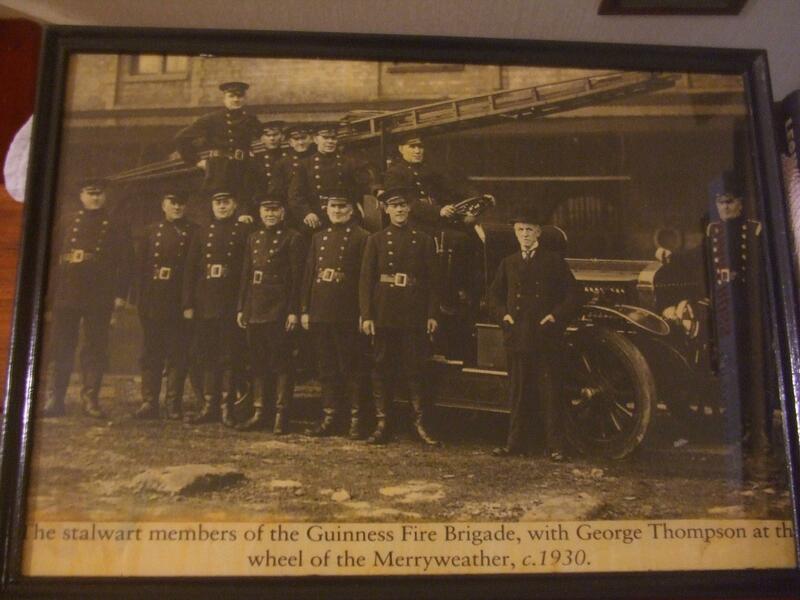 The Forgotten Fire Brigade Of Dublin,The boys of ‘Arthur Guinness and Sons’ | Come Here To Me! Recently, I spent painful hours online attempting to track down information on the Guinness Fire Brigade, but it was a hard task! 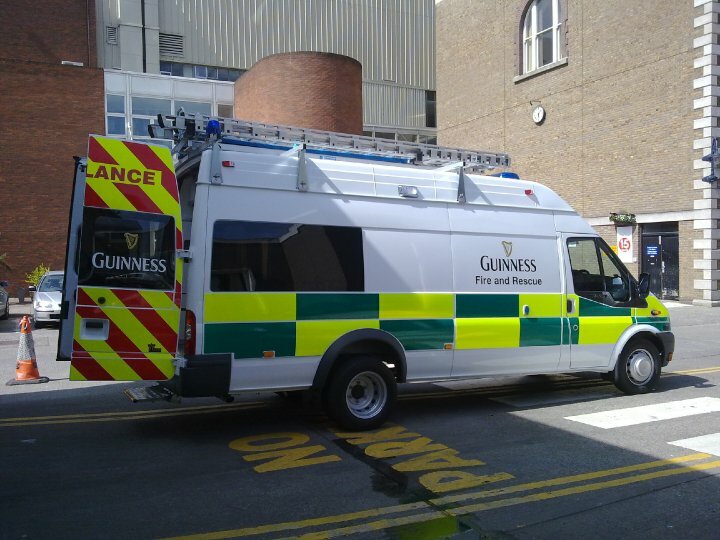 Bass, Powers and Guinness all operated functional (and branded) fire services in their respective workplaces due to the nature of production and the risk posed. My interest in the men of what was branded the ‘Arthur Guinness and Sons’ Fire Brigade, centres around the events of Easter week 1916, but is by no means limited to that week alone. 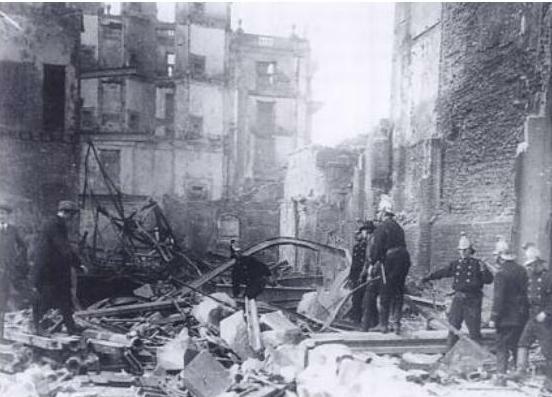 Guinness, along with Powers Distillery , were both called out by Captain Purcell of the Dublin Fire Brigade during the 1916 insurrection to assist the city Brigade, who, along with Pembroke and Rathmines firefighters, found themselves working against the odds. Fire had raged from the GPO towards the Liffey, reaching back along Henry Street to Henry Place and Moore Street, advancing towards Liffey Street, almost as far as the Irish Independent’s printing works on Middle Abbey Street. On the Sackville Street frontage, the Metropole Hotel, standing between Eason and the GPO, was gone, and with it adjoining buildings including the Oval bar. Thom’s printing works was destroyed. On the Saturday night, well into the uprising that had, in the words of Captain Purcell, done at least £2.5 Million worth of damage to the streets of Dublin, it became apparent that there was a very real threat Jervis Hospital was going to burn to the ground. Purcell called on the fire brigades of Guinness Brewery and Powers to assist his Brigade. Occasionally under fire, they worked heroically and ensured the safety of the hospital. 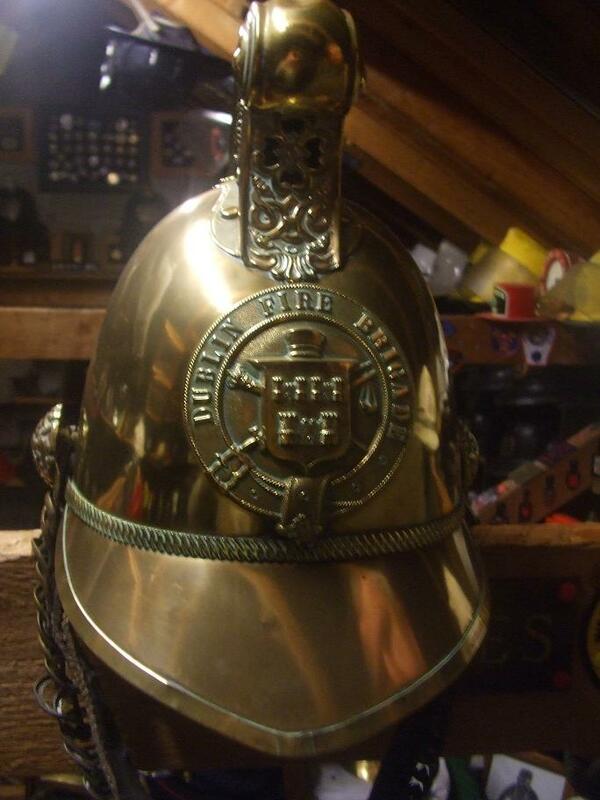 Dublin Fire Brigade,1916 period standard. Las Fallon collection. 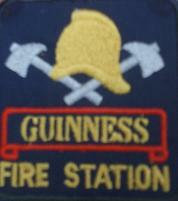 Little is known about the Guinness Fire Brigade in so far as a date of formation. Their exploits during Easter Week are documented in so far as possible in Tom Geraghty and Trevor Whiteheads ‘The Dublin Fire Brigade’ published by Dublin City Council in 2004 and an essential read for all interested in the history of the city. Yet they were a different Brigade, seperate from the Dublin Fire Brigade entirely. Thus, they have remained somewhat of a mystery. 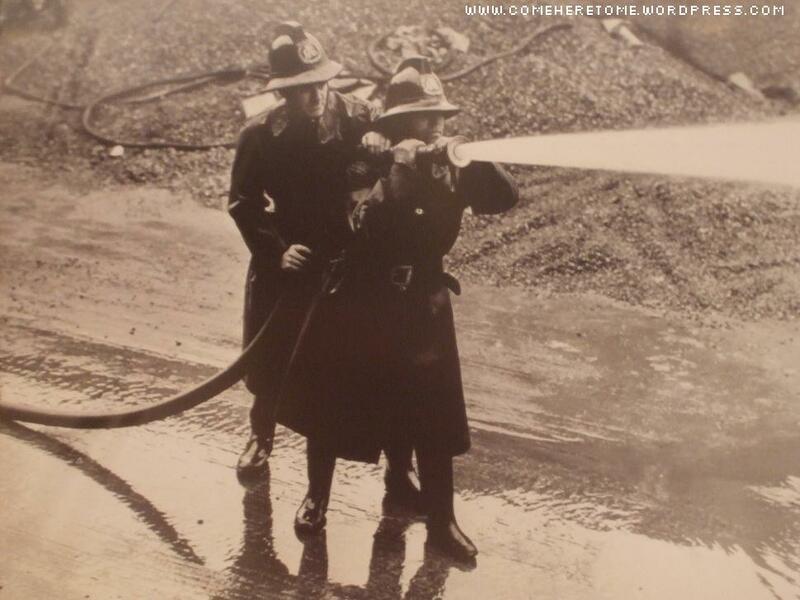 Guinness firefighters, around the 1950s. Notice the \’AGS\’ branding of helmets. From Burkes book, we can gather information of a fire at the Guinness Brewery in 1820, as reported in the Freemans Journal. 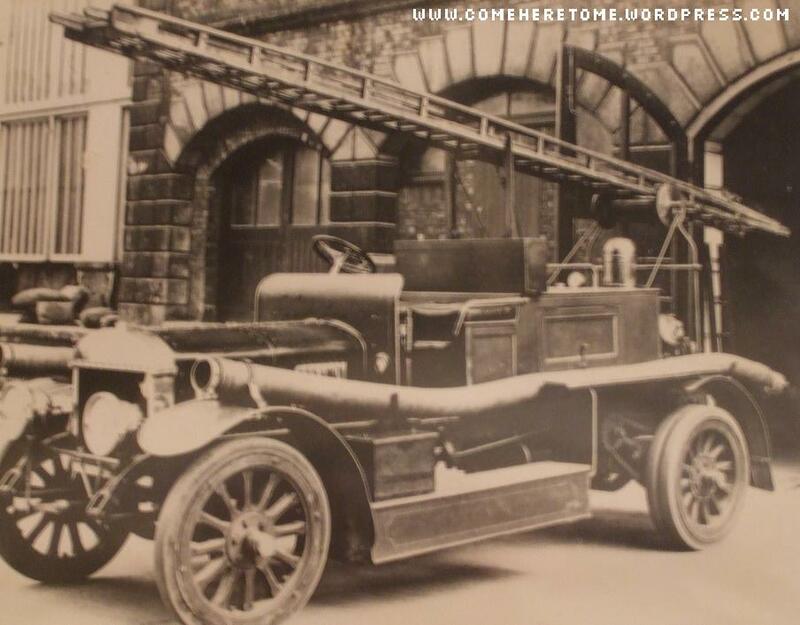 All breweries and distillers in the area operated a fire-service (No surprise due to the highly flamable nature of the work) and all, along with the insurance companies of the area, helped to ensure no extensive damage occured. 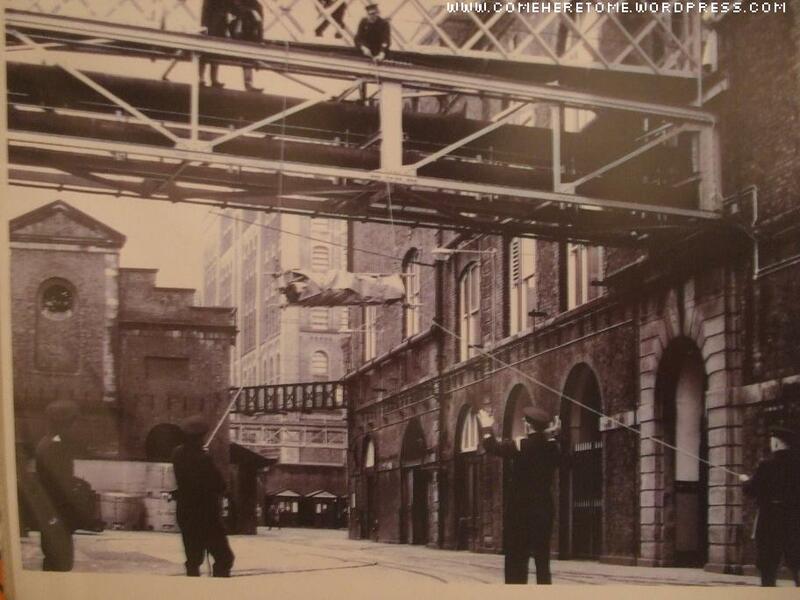 The Guinness Fire Brigade in the 1930s. To many people,the Guinness fire-helmets are the most exciting part of the story. 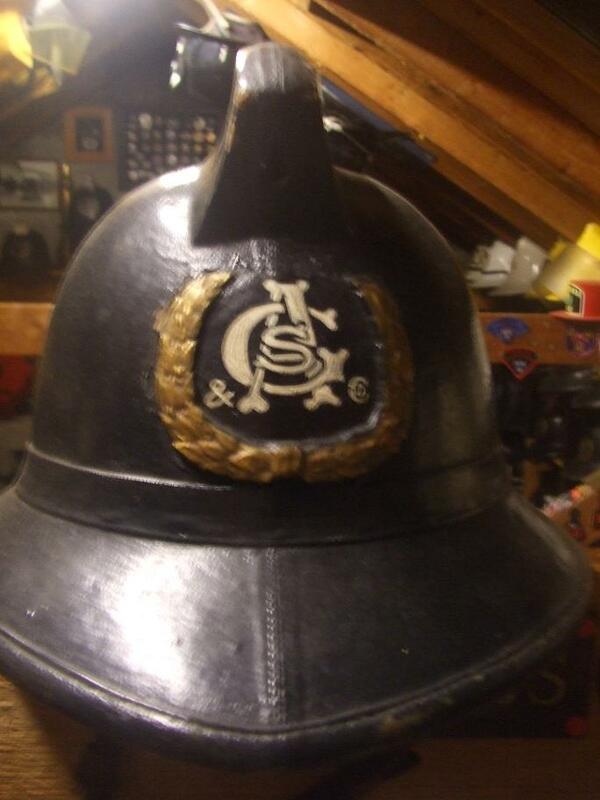 Below, I’ve included some snaps of Guinness helmets over the years, from the time of the Rising up until the mid 1900s. AGS, of course, stands for Arthur Guinness and Sons. A patch from near the end of the Brewery Brigades lifetime. Las Fallon collection. Guinness has long been a powerhouse of Dublin life, employing thousands of working class people in this city through boom and bust alike, but this is certainly an overlooked aspect of the story. The men of the Brewery Brigade, perhaps more than anyone else, show there was,and indeed remains, much more than stout at the heart of Saint James’ Gate. My thanks to the lads at the contemporary Guinness Fire and Rescue Service for getting in touch. This image shows the modern service Guinness operate on site. on February 16, 2010 at 7:45 pm | Reply A nice rarity: Guinness Guidebook (1939) « Come here to me! Hey Mike, took me ages to get back around to this. Las even didn’t know too much about the Brigade, only what was already in circulation. All I’ve managed to do above is put all the stuff that is out there in one place. As I said in the piece, I’d be really, really grateful if anyone who knows more (Or even worked for the Brigade) would get in touch. 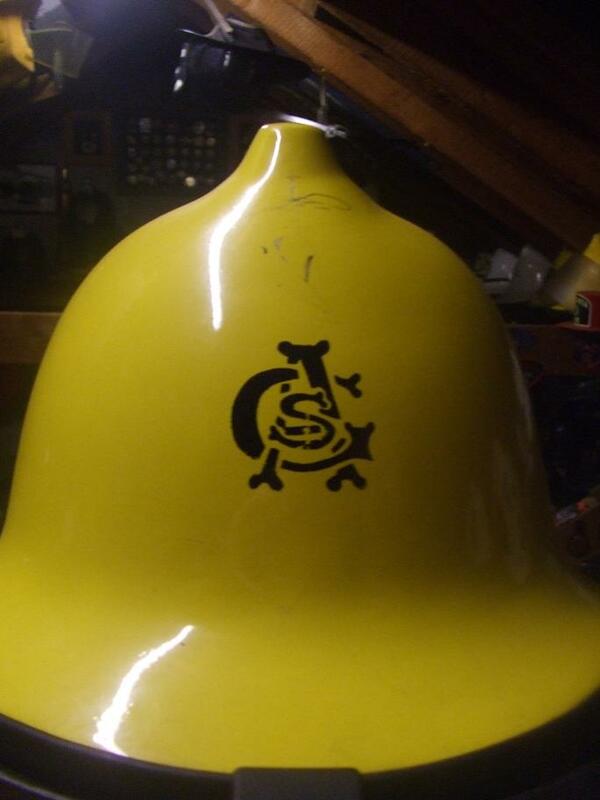 What year would you say are the leather fire helmets from ?